A well designed office space should promote productivity and reflect a pleasant ambience that will make both your employees and clients feel welcomed into the main business quarters of your company. As a business owner you firstly need to provide your employees with the best working conditions where they will be able to perform their job in a timely and efficient manner. After all, this is key to building a successful and profitable business. In addition to creating a functional and productive work space, you also need to pay attention to aesthetics and style. What's the point of having an efficient and functional office, when the entire space lack an elegant and unique interior design that can instantly capture the attention of your clients. The most important aspect of creating a stylish and functional office is choosing the right office furniture. This will allow you to give the space a nice layout, which is one of the main principles of good interior design. There are many different types of office furniture that have different features and uses, so it can be hard to figure out from where to begin with. Well, as the central element of any well designed office space, investing in a top quality business office chair should be your priority. Depending on their design and specific features, all office chairs can be divided into a few categories. Due to its advanced design, a business office chair with ergonomic features is a popular choice among business owners whose goal is to create a comfortable and productive work environment for their workers. This type of office chair has the purpose to provide support and alleviate back pain, which is a common complaint among office workers. 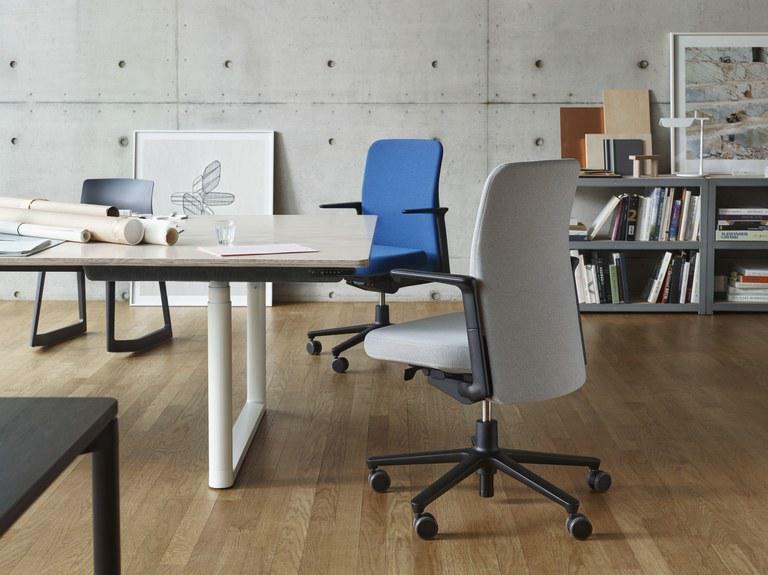 A well designed office chair will feature a padded back rest along with adjustable armrest that allow the worker to adjust it according to his/hers specific needs. Known for their unique and bulky design, executive chairs are an essential part of office spaces in big corporations. They feature wheels and casters that are designed to rotate in different directions. They commonly made of leather and have a high backrest that can provide optimum comfort and support. The most prominent feature of mesh chairs is the fabric they are made of which in many aspects resembles a net. This type of material can provide enhanced air flow, thus preventing sweating and keeping the worker dry and comfortable throughout the entire work day.